Building a stone walkway is a wonderful way to enhance the beauty of your property. Brick is often used to compliment a formal landscape design. The ideal material for stone walkways will consist of the largest, flatest solid rocks Schuster Landscaping can find and maneuver. Greater mass equals greater stability. 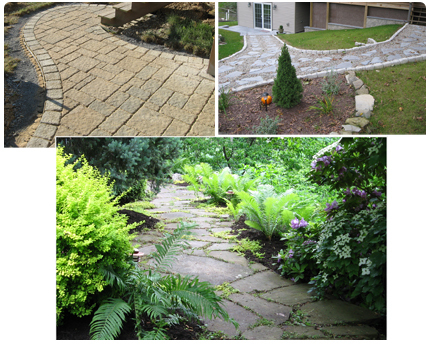 Schuster Landscaping considers routing a path based on the unique features of your property. Paths can be straight, curved, narrow or wide depending on the desired effect and utilization.